Not registered to Sun Cellular unlimited internet promo and you want to access Facebook? No problem, free Facebook surfing offered free using your Sun Cellular SIM. No maintaining balance needed to use this service, all you have to do open you mobile phone default browser then type the URL or you can go to Sun Cellular wap site. 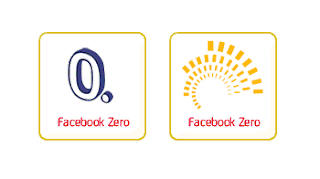 Facebook zero is free, no need for you ask about the latest free internet tricks on Sun Cellular just to access Facebook. All you have to do is activate your phone’s GPRS / 3G settings then set the right access point and you can now able to browse you favorite social networking site. How to access or avail free Facebook on Sun Cellular? First is you need to activate your phone’s GPRS / 3G settings, we already posted about Sun Cellular GPRS, 3G and MMS settings , go check it out how. Once activated or your phone configuration is already activated, its time to set a default config with correct APN to access free Facebook. Once you received Sun GPRS, 3G and MMS settings, select Sun GPRS with ‘wap’ APN at make it a default connection when accessing the internet. For Nokia look for the options where you can set it as default, on Android phone look Sun GPRS under mobile networks then tick to set as default and for iPhone just look for Cellular Data option the set Sun GPRS apn. Go to the address bar or enter URL address then type http://0.facebook.com and that’s it. Enjoy Facebook 24/7 using your Sun SIM. You can also access free FB via Sun wap homepage under the URL http://wap.suncellular.com.ph then look for the Free Facebook link. Do note, when you are using this free Facebook service do not browse to other external link outside FB or else you’ll be charge standard browsing rate of P10 for 30 minutes.